Hempel Gelcoat Cleaning Powder is a strong, fine abrasive cleaning powder for tough stains. It is recommened for removing tough deposits, stains and yellowing on gelcoat surfaces. 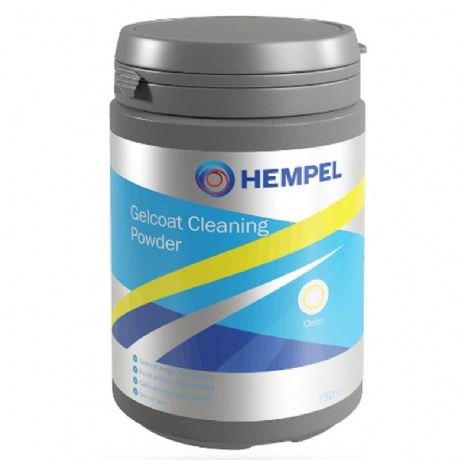 Removes hull discolouration from soil deposits in fresh water and is particularly suitable for cleaning large areas such as non-slip decks where dirt accumulates. Sold in 750g tubs.